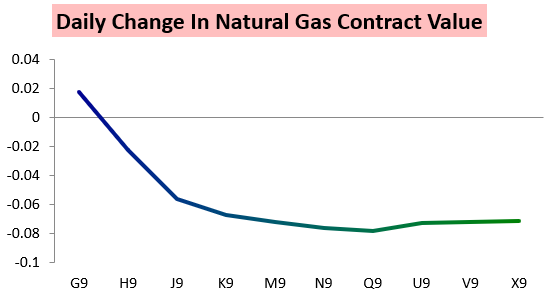 After getting slaughtered almost 11% on the last trading day of 2018, the February gas contract settled up less than a percent today with trading much slower overall. 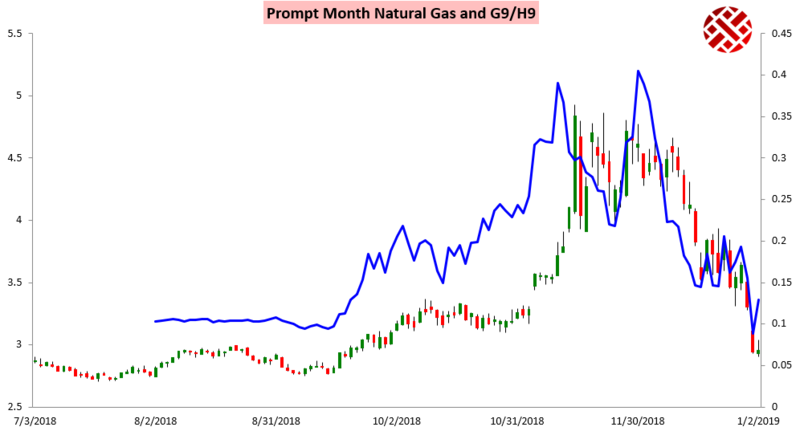 It was only the prompt month February contract that logged a gain on the day, though, with the rest of the gas futures curve still selling off. The result was a decent move higher in the February/March G/H spread even with the February contract not gaining much on the day. 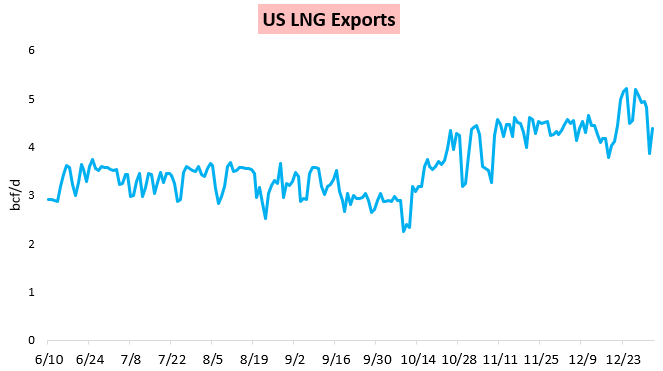 Trading today fit our expectations well as we highlighted in our Morning Update that "...we see strong support for prompt gas at $2.92 that should hold without further weather model deterioration..." yet as prices bounces in the AM we similarly highlighted that, "...we are skeptical it is that sustainable." 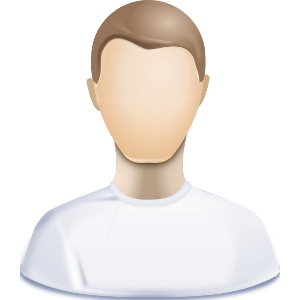 This verified well with bounces generally failing through the day and prices dipping into the settle even as $2.92 held. 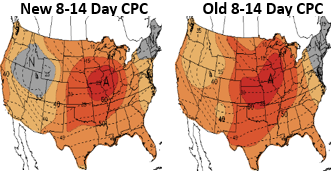 Later in the day we highlighted where we saw risk skewed for gas prices over the coming months. We looked at how the strip had moved over the past year as well, and noticed for the first time in a little while the front of the strip was settling below where it was a year ago. 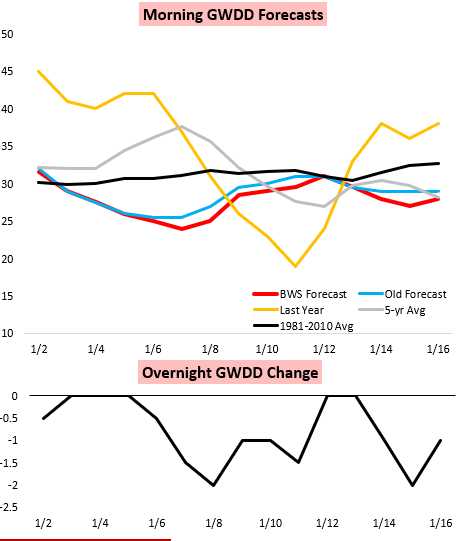 We updated our 5-month GWDD forecast as well as our storage modeling out to the end of withdrawal season. Now, traders will be watching how balances begin changing with the New Year's festivities behind us. We saw some of the first evidence of what these lower prices are bringing today, but it should be more clear into next week, while Friday's EIA print should show just how loose balances were able to get last week. 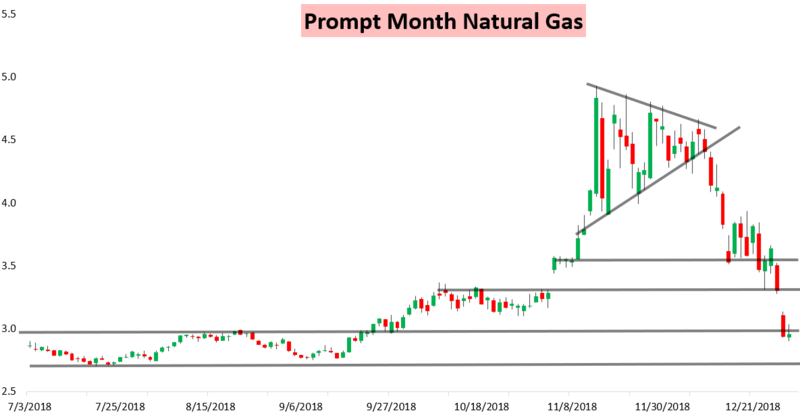 To see all our latest analysis on gas balances, weather risk, and price risk, try out a 10-day free trial here.